The Seaton Trail is being damaged by motorcycles and ATV’s. 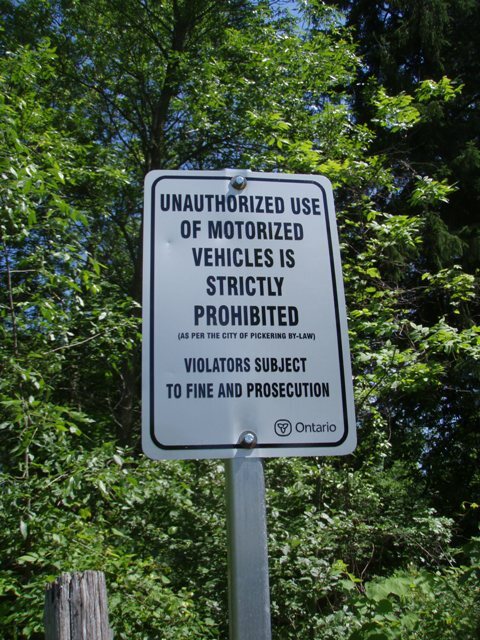 This issue is most prominent along Section 1 (Concession # 3 to Clarke’s Hollow) and Section 3 near the 407 bridge and gravel pit. 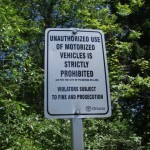 The Friends of Seaton Trail volunteered to put up “Unauthorized use of motorized vehicles is strictly prohibited” signs along these sections of trail. Section 1 signage was installed on October 17, 2010. The Friends also recommended to the TRCA and DEL that a fence be added to the top of the railway tracks hill.